Dr. Kimberly Alexander will present a special three-part lecture series entitled, “Women Ministers in the Holiness-Pentecostal Movement” in Falcon, North Carolina, on May 19, 2018. 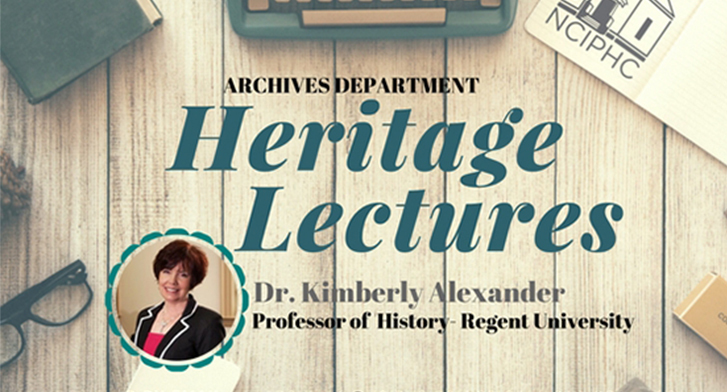 Alexander is the guest speaker for Heritage Lectures 2018, hosted by the Archives & Research Department of the North Carolina Conference of the International Pentecostal Holiness Church (IPHC). Dr. Alexander is the associate professor of History of Christianity in the School of Divinity at Regent University in Virginia Beach, Virginia. Before moving to Regent in 2011, she served for 11 years as associate professor of Historical Theology at Pentecostal Theological Seminary in Cleveland, Tennessee, where she also served as assistant vice president for Academics. She is a former president of the Society for Pentecostal Studies. Dr. Alexander has conducted extensive research on the history of Pentecostal women ministers. 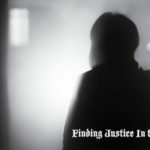 Her research also focuses on women in contemporary Pentecostalism and has been used to help pastors and denominational leaders understand the unique challenges that Pentecostal women ministers face, presenting history, current data, and effective strategies for affirming, developing, and launching women ministers into full-time Christian service. 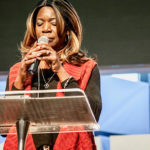 Her expertise has been sought out by scholars and church leaders in the larger Pentecostal movement around the world. 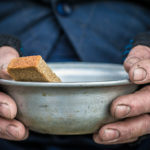 She has presented her research in North and South America as well as in the Hong Kong, the United Kingdom, and, Europe. Dr. Alexander is the author of numerous book chapters and journal articles as well as three books: Pentecostal Healing: Models of Theology and Practice; with R. Hollis Gause, Women in Leadership: A Pentecostal Perspective; and with James P. Bowers, What Women Want: Pentecostal Women Ministers Speak for Themselves. She is delighted to bring her research and passion the IPHC and to the historical Pentecostal community of Falcon, North Carolina. Falcon is the cradle of the Holiness-Pentecostal movement in Eastern North Carolina and the birthplace of the International Pentecostal Holiness Church. 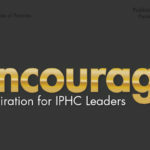 The IPHC has always licensed women ministers to serve in all capacities of church leadership. 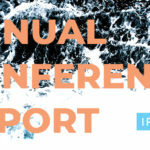 However, history shows that it was an exception for women ministers to receive ordination for pastoral ministry in the North Carolina Conference of the IPHC until 1974 when Rev. 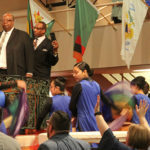 Blanche Pollard’s church, Friendship Pentecostal Holiness Church, in Aurora, North Carolina, petitioned the conference to grant her the same credentials for pastoral ministry that male pastors had received–ordination. Their request was granted. Rev. Vera Griffin was also granted ordination that same year. At present, women pastors within the IPHC continue to be an exception rather than a norm. However, progress steadily continues as can be evidenced by Rev. Beatriz Lourdes López Albuine’s recent tenure as bishop of IPHC, Cuba. 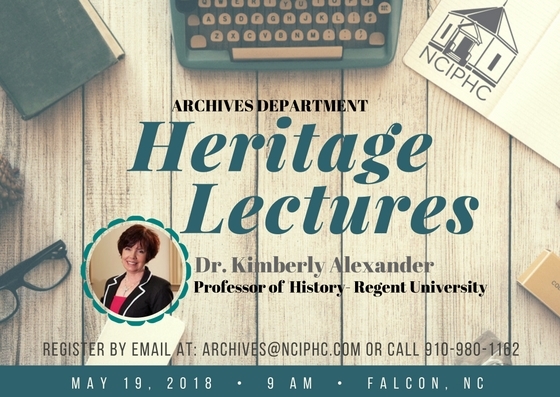 Dr. Alexander and the North Carolina Conference IPHC Archives and Research Department extend a warm invitation to pastors and leaders from across the Pentecostal/Charismatic family to attend Heritage Lectures 2018 on Saturday, May 19, 2018, from 9:00 a.m. – 2:30 p.m. Registration is required and space is limited. Register at http://www.nciphc.com/archives or call (910) 980-1162. The lectures are free and lunch will be provided. However, donations toward expenses are accepted and appreciated.